Mandatory for first year (new) and second year umpires! 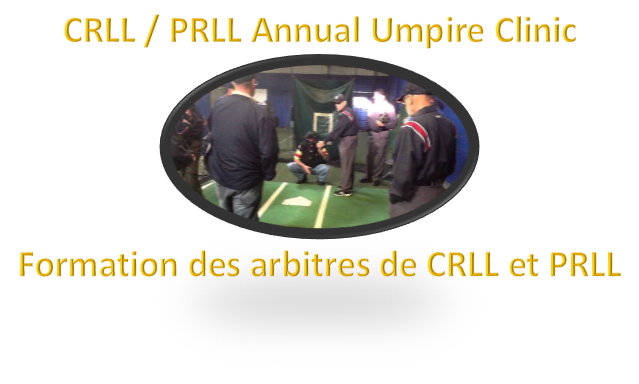 CRLL and PRLL have joined forces to host the required annual umpire clinic for new and 2nd year umpires on Saturday 13 April from 10 AM to 4:30 PM. This training is mandatory for first year (new) and second year returning umpires but is open to all CRLL and PRLL umpires! The clinic will be split into two sessions, Classroom and Practical - details as per above. A mid-clinic lunch will be provided (pizza and water) for the attendees. Note that only water is allowed in the Dome for the practical session - no snacks or non-water refreshments. It is not enough to know the rules of the games of baseball; however, being a Little League Umpire also means being able to fairly and impartially enforce those rules in the context of a game for the young players. Little League Umpires should never strive to be the center of attention. They should let the players be the stars. In fact, it's been said that the best-umpired game is the one in which nobody could remember who the Umpire was. Veteran Little League Umpires will say the highest praise they receive is a "good game, blue," comment from a young player. Some of the tips you will find on this page are very basic, while others are more advanced. Information is provided to be useful for any umpire at any level of Little League - even for someone who is just thinking about umpiring. We'll add more content from time to time, so keep checking back for updated tips. Keep up with the latest LL Umpire News and learn about higher level clinics and schools. 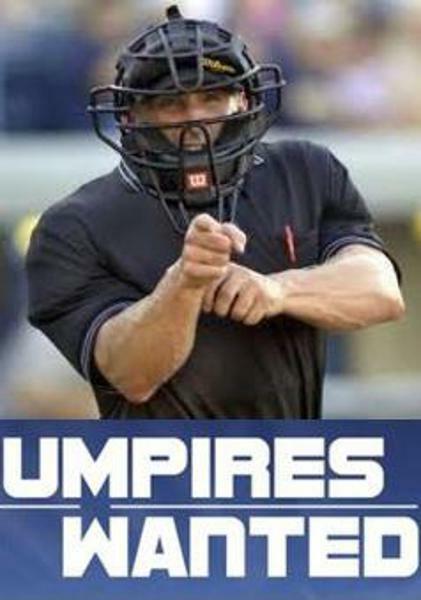 Join the Umpire Registry Today for Free! Articles and videos to help make you a better umpire -mechanics, positioning, making the right call - check it out now. 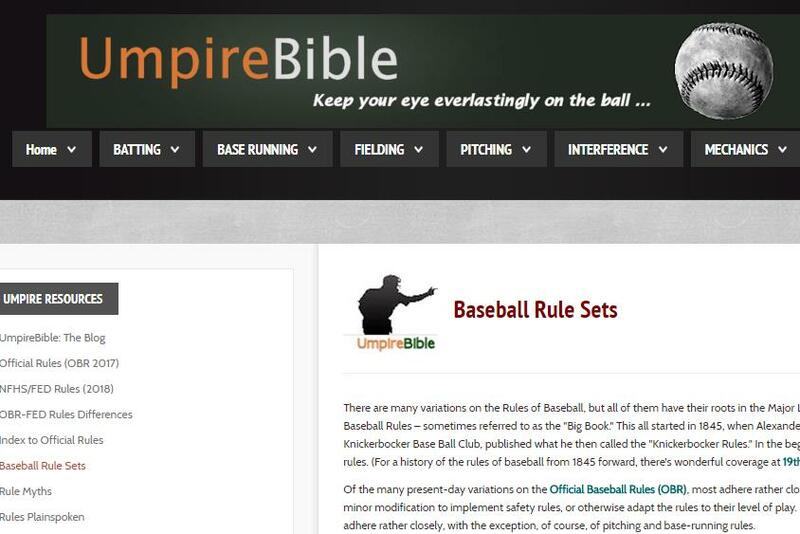 This site provides resources and materials for Little League umpires to aid them in umpiring. 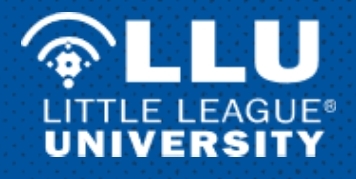 This is not an official Little League site but it offers a great deal of good information. See our Rules Page for lightning and weather safety policy and guidance.